This weekend was one I had been looking forward to for quite some time, I had the opportunity to test drive the brand-new Alfa Romeo 4C before anyone on the American roads can even buy one. I know you want to hear all about this beautiful new Italian ball of fun, but first some history. The new 4C is based off its older relative from 1967, the 33 Stradale, which shares many characteristics like the light chassis and powerful-yet-small engine. They even have a few of the same design cues, like a sloping roofline, large quarter vents, and a round nose. It goes without saying that the grill incorporates the iconic triangle design that’s been missing from American roads for about 20 years now. Now for the numbers that really matter. 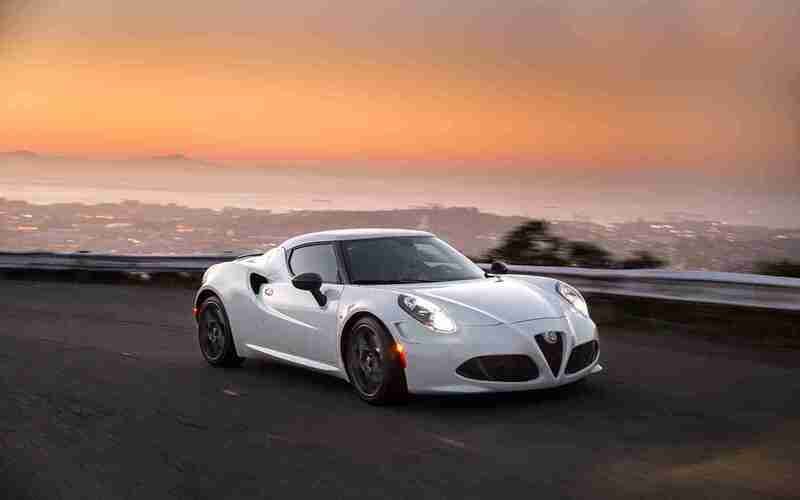 The 4C carries a power-to-weight ratio of about 10 lbs/bhp which is spot-on for a car in the $50-70 thousand range. But it’s more astonishing when you see that this beauty only weighs about 2,370 lbs. Ok, the numbers: 237 bhp, 258 lb-ft of torque, mid-engine 1.7 L inline 4 cylinder engine (hence the name 4C), a 6 speed twin clutch transmission with launch control (operated through paddles on the steering wheel or automatically), 0-62 mph in 4.5 seconds, and a top speed of 160 mph. The construction really makes the Alfa Romeo 4C stick out for its price range because it borrows from the same book that supercar makers like Pagani and Ferrari have read. A carbon fiber monocoque (the passenger compartment) which only weighs 236 lbs attached to front and rear aluminum frames for stiffness, especially in the corners, which I will get to shortly. Lastly, some super space-age secret stuff that makes up the body panels. Their website says they are made of a compound 20% lighter than steel and are corrosion resistant. Once they hit the road we can check back in to make sure that is true. Now ladies and gentlemen, the part you’ve all been waiting for. You’ve been yelling at your screens, “but what does it feel like to drive?” Well, it is a love/hate relationship, but I’m leaning toward love. I brought it to Americana Manhasset for their Concours <http://americana-concours.com> car show on Long Island, NY and got plenty of attention. On the ride there it was rough going through uneven roads of Manhattan with potholes and patches, but once I got out to the Island, the 4C really took to the smooth roads and rewarded me with fun and easy driving. However, owning one is not for the lighthearted; although it is pretty and a head-turner at car shows, it’s a monster to keep in control on the way there. And even when parking it. I would never recommend the 4C to anyone as a daily driver, but a fun second or third car for the weekend if you live somewhere with nice roads that aren’t prone to stop and go traffic. Every bit of the car is touchy, so keeping it under control takes concentration. Let’s start with the steering, which surprised me mostly because it’s manual and I can’t remember the last road car I’ve driven that has manual steering. 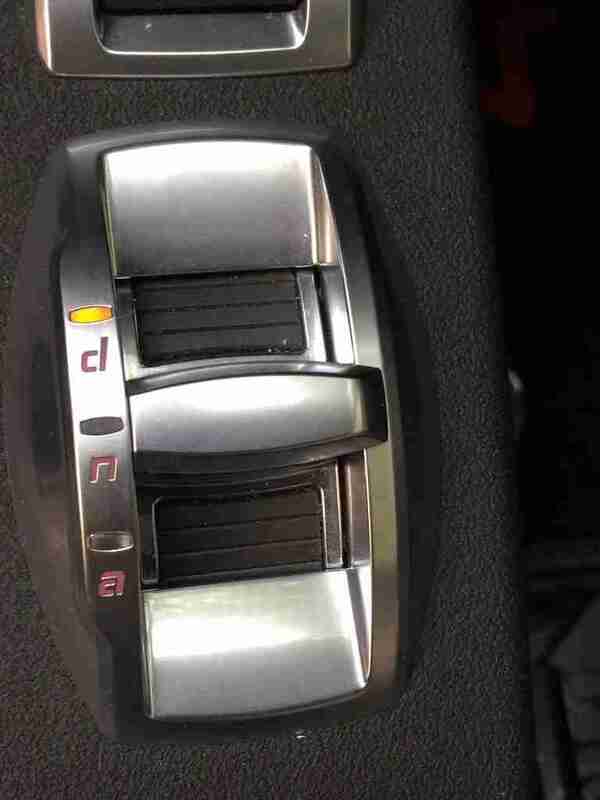 Don’t get me wrong, it’s fantastic that a new car has manual steering, it’s a needed feature in sports cars these days. It does get easier to drive as you move from a stop, having some sort of variable-assist steering like most modern cars, but turning the wheel while you aren’t moving or going under 10 mph is a workout. The seats are quite comfortable, but you should be prepared to have a rough ride, as the suspension is rock-solid. Good for the track, but maybe not so good for the road. All the controls are smack in the center of the car; there aren’t even arm rests or pockets, all unnecessary for a car that is trying to keep it’s weight down. The 4C doesn’t even waste space on the infotainment system, which is a surprisingly kitted-out little piece of technology; it even has bluetooth! I wasn’t expecting it either… some of the fun little buttons on the center stack, which you might need a degree to figure out how to use, include manual temperature settings, all facing the driver along with the infotainment screen. The most fun switch to play with is the D.N.A. switch. The big difference you might notice about this is that it has nothing to do with Deoxyribonucleic Acid, but rather Dynamic, Natural, and All Weather. Dynamic mode turns off every assist except for the variable-assist steering. Natural mode and All Weather operate as their names describe. 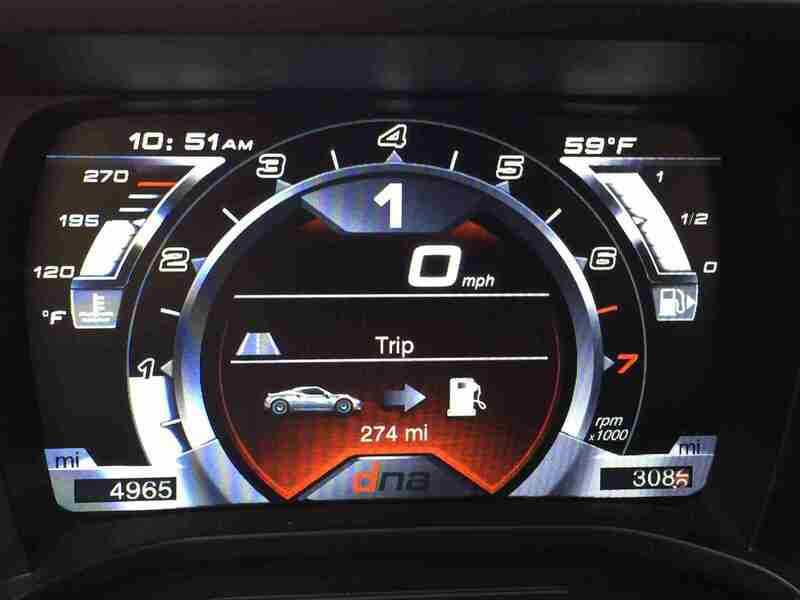 The screen’s color in the instrument cluster even changes for each mode. Last note, no manual option coming to the U.S., which is disappointing. 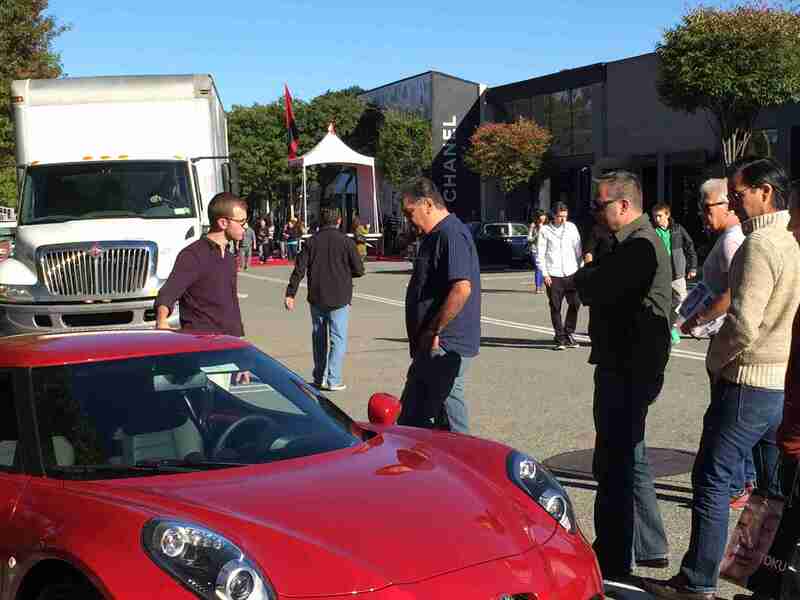 The response from car lovers was possibly the most fun I had with the Alfa Romeo 4C this past weekend. Besides looking at it, of course. It was pointed out to me that quite a few people believed the 4C looked similar to the Lotus Evora and I can kind of see where they are coming from. In the end I had tons of fun, and I would pick it up as a second or third car for the weekend or maybe track days. In the meantime I cannot wait for it to hit the streets!